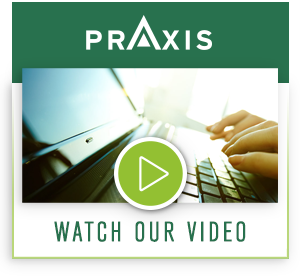 PRAXIS offers the right mix of agreement flexibility, industry experience and best in class protections to help you get real value from your escrow agreement. We turn problems into solutions at PRAXIS. When customers come to us after experience with other companies, they often cite instances of poor customer service and inflexibility. At PRAXIS, we provide personalized attention with customizable templates so your agreements can be adapted to your needs. From start to finish, we work directly with you. This outstanding customer service is one of the leading reasons why we have earned a reputation in this field and why our customers stay with us. All of the stability, longevity, and economic benefits of an on premise application can evaporate in seconds if your vendor is unable to support your application. Any investment in on premise technology should include contingency plans for vendor failure, application sunsetting, or other support breaches. Software escrow helps you realize the full potential of your investment and PRAXIS offers a full range of services to help you protect your investment. Please connect with our sales team at sales@praxisescrow.com. In the event of software failure source code is typically required to modify, support or maintain an application. The practice of requiring a source code escrow as part of a larger transaction is the cornerstone of any protection plan for licensed technology assets or significant investments in technology. Proprietary technology can be the cornerstone of your business and even an entire industry. It can also be a common focal point in disputes and litigation. Whenever you find yourself reliant upon someone else's intellectual property (i.e. designs, manufacturing processes, knowledge, client lists, and more), consider structuring a contingency plan to provide access to the technology in question should the relationship falter. No matter where your application is hosted, loss of functionality can be catastrophic for your business. Despite the many economic and administrative advantages over on premise applications, the implications of extended downtime can jeopardize your future, particularly if you do not have access to your data. PRAXIS has a full range of solutions to make your move to the cloud safe! While these steps do not guarantee functionality, they do often find obvious shortfalls in escrow deposits. The next step on the continuum of protection is a Technical Verification to ensure that the Deposit Materials as provided by the Depositor can be utilized to compile the source code into the application and test the executables. This is a short term technology project to prove the functionality of your escrow deposit. 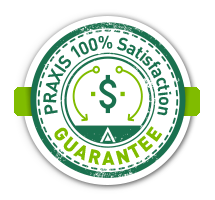 PRAXIS offers a complete range of testing options for both on premise and SaaS applications.